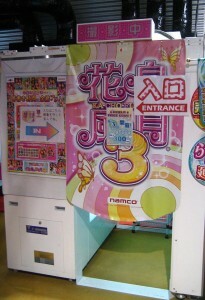 Purikura is a photo sticker booth, which has special effects to make you look more beautiful. The machines are usually in game arcades but sometimes you find them at the places you never expect to see them! 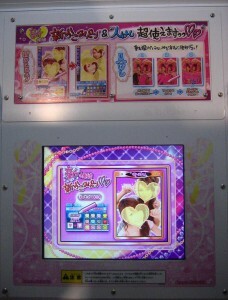 Purikura has been very pop especially among teen girls since it was released in 1995. Japanese girls love purikura because they can look as if they were fashion models or pop idles. Not only your face but can you take picture of your whole body, and at some places, they lend you costumes for fun! The recent machines have the feature that it let you export the pictures to your cell phone.